Do the double stairs need to go? There's always been an audience. I like them, but still think they're oddly placed. I thought one was for the main house and one for the other house? Not sure. They both lead to exactly the same place, you just turn left for the other house (but was only used when Emma went in on BB17 launch night and Andrew/Ryan/Jackson/Alex swapped) and right for the main house when you get to the top. Confusing to look at. Confusing when HMs enter. Ditch them. ... or slide down a shute and disappear into oblivion! LOL. 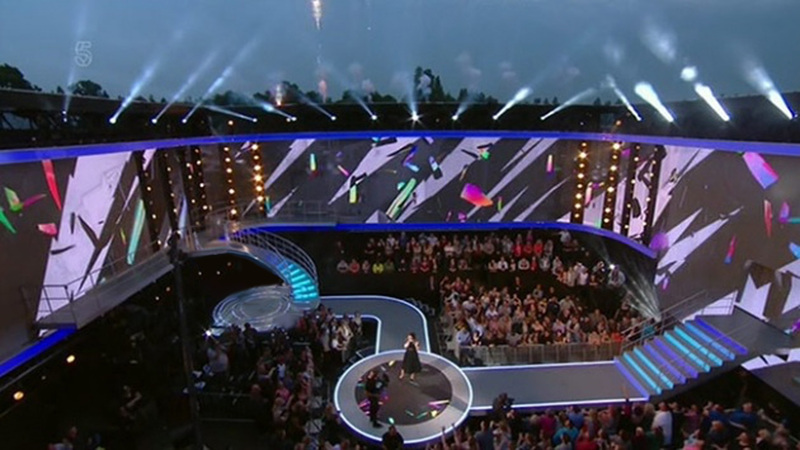 out of all the things wrong with BBUK the stairs dont really rate as one of them for me. But if we only have one staircase, what's supposed to SPINNNNN?!?!?!? Last edited by Greg! ; 27-10-2018 at 05:17 PM. The crowd capacity needed to be small since they can't fill the seats. On the old set if they used a wrong camera angle you saw half the seats were empty. Of course the crowd was full... this was the season of BEAR! That pic is from BB17 actually sis. The season of Lateysha, Jayne and Laura Carter!